Johnny Manziel was someone I did not care about. Especially all his partying, he turned me off. But today, he became someone I want to follow. No, not follow as in admiration. Rather follow because he reminds me of Stone Cold Steve Austin. He rebels against authority, marches to the beat of his own drum and really in a sense, is a heel in the biggest way. 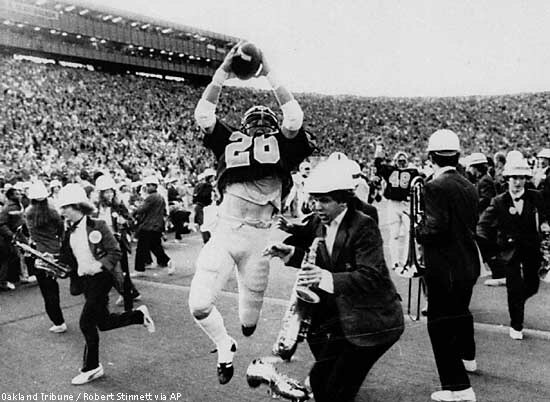 We need this kind of character in the drama of silliness that is the NCAA. Good for you! I should have taken BART. 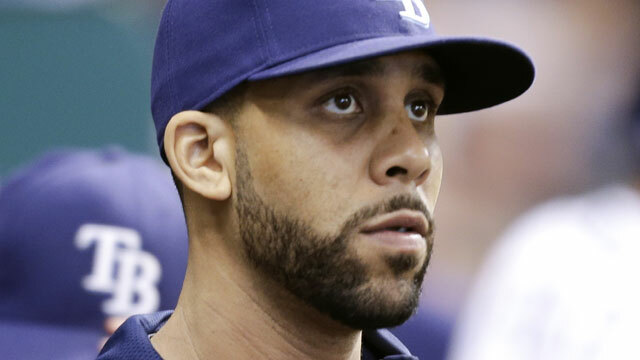 With the Bay Bridge closed over the weekend and visiting teams to play the Oakland A’s staying in San Francisco, Tampa Bay Rays pitcher David Price (who starts tonight) decided to take the cab to the Coliseum. Instead of taking BART, he was stuck with a cab ride that cost him over $200. On Twitter, Price detailed his miserable ride to Oakland. Back in January, I celebrated that my blog reached 100,000 views after being live for about a year. It was a great accomplishment and I am so grateful to all the people who have visited my blog. Today is a bigger celebration. In about seven months following, my blog doubled that total. This is a true blessing as it shows that people actually read my work and that there’s a sort of approval in a way. This isn’t saying that my blog is oh so great, but it’s a great confidence booster knowing that my blog is growing as I am growing as well. Thank you for helping me reach this. It’s a great day for the blog. I can’t wait to see if I could ever hit the 1 million mark. Thank you! 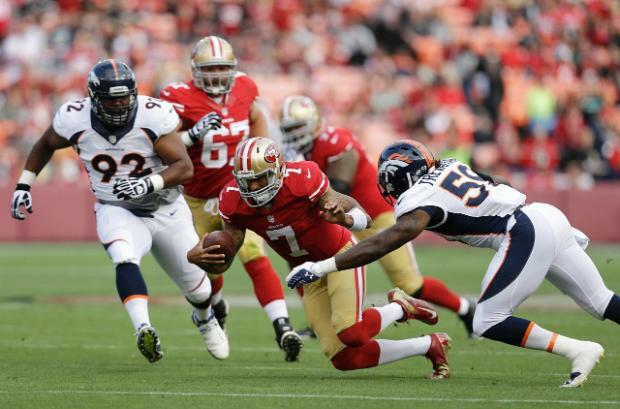 Future Super Bowl matchup? I think it’s very possible. When these were unveiled yesterday, everybody was all crazy about it. 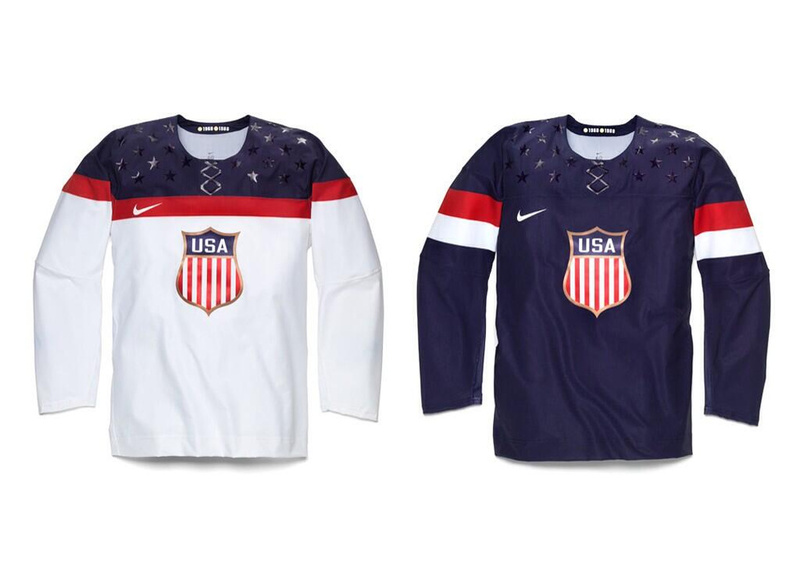 I looked at it and just was like “meh” to the new USA hockey jerseys. 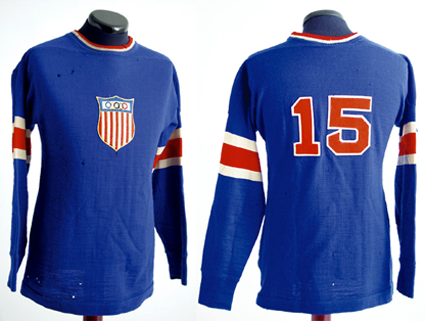 It in fact is an homage to the 1932 sweaters. I don’t understand what the great celebration was for this set. The fact that the blue and white sets aren’t even symmetrical makes it hard for me to like it. Then you add on the fake stars and fake collar lace and you really have a boring, unimaginative set. I suppose the blue one is a little bit better in my eyes, but not really. It’s just boring. I’m not a fan. And that logo, where have I seen it before? Of course, now I remember! 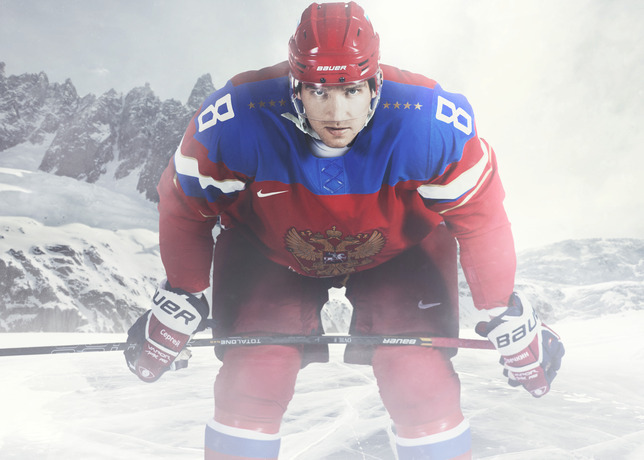 Russia’s looks better, but the non-symmetry still bothers me.